Thank you to the interesting group of members who attended our meeting in Wales last week and particular thanks to those that made the journeys from Shropshire and Bristol. We discussed Theatre Tax Relief (some companies are still not claiming it – Charities are eligible even if they have never paid any corporation tax. Size is not an issue – even the smallest companies can claim TTR provided they are incorporated). We discussed pensions (all ITC companies now have to comply with auto-enrolment – guidance is available on our website). We had an interesting discussion about touring and co-productions with a particular emphasis on rural touring and this lead to an interesting discussion about life-streaming (Pentabus shared their experience of livestreaming their village hall performances into larger venues – not too expensive and very good for audience development and engagement). Thank you very much to National Dance Company of Wales for hosting us in their excellent lounge and giving us a tour of their exciting facilities. 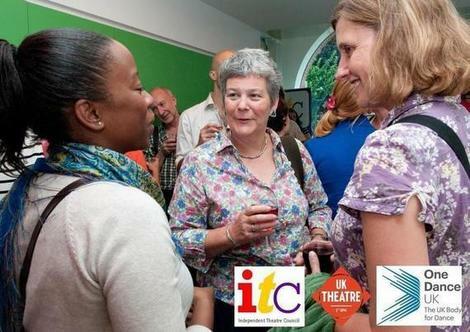 The next ITC members’ meeting will be in Newcastle (3.30 15th June Dance City) and then we are in York 29th June. We look forward to further lively conversations with members. Here you will be glad to know that we are having one of the suitable option for you to know how to fix bluetooth audio devices connections in windows 10 as it is known to be upgraded feature of windows 10. It was awesome for me to find out here your post. Keep them coming, please. Credit cards have made our life easy. Though rushmyessays writing services suggest people to use credit cards. We can make payments through credit cards online. We can pay for shopping and can use for our business purposes to clear all payments. I didn’t think it was a real thing until I came across a pamphlet by the trim a tree company. Their prices seemed pretty reasonable for the hard work that they do for all of their clients. When you are with your loved ones, time fly’s by. Having to deal with a bunch of old men sure is exhausting. I hope that you have a good time coming Wednesday. Happy almost six months. Having to deal with this kind of jobs might be stressful and stained concrete floors nashville shares a few tricks about how to manage these odd jobs.